Those of you that know me know that I really dislike hassles and annoyances. It’s simply the reason I like to live a simple, organized, uncomplicated life. There are many hassles in life we can’t control (hello winter weather, I’m talking about you) but there are many smaller ones we can. Like for instance, cluttered cupboards that when opened cause items to fall out onto your foot leaving you hobbling about. Nope, ain’t nobody got time for that. Luckily an organized cupboard is totally within a 15 minute reach. Yep in 15 minutes you can be well on your way to one less annoying problem and one simpler life. I’m totally not kidding! Want to know what else is a hassle? Planners you have to print and put together yourself. I so appreciate the lovely ladies out there that offer these weekly/daily printable planner pages (sometimes for free!) but to print (and possibly cut) out an entire year of planning pages is a lot of work and time y’all. 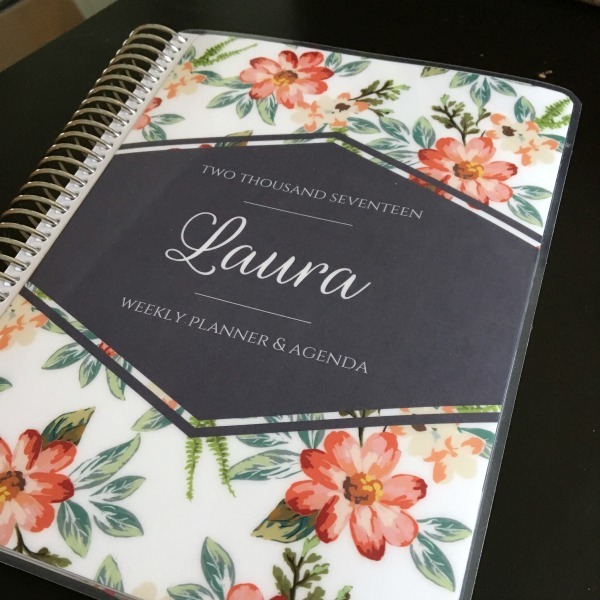 Now don’t get me wrong, printing your own planner can be very rewarding as you can often customize your planner to suit your needs. However not everyone has this kind of time or patience to get it done. So here’s the dilemma then, finding the right planner that still offers customization for your needs without all the extra work involved. Well I’ve found it! I mentioned earlier in the year that I was using a new planner and I’m really happy with it and I’m especially happy that it was hassle free to create. FYI: This planner was sent to me but this is not a sponsored post. However because of my love for this product I am an affiliate of this company which means I will make a small commission, at no extra cost to you, if you make a purchase after clicking on my links. Thank you for your support! 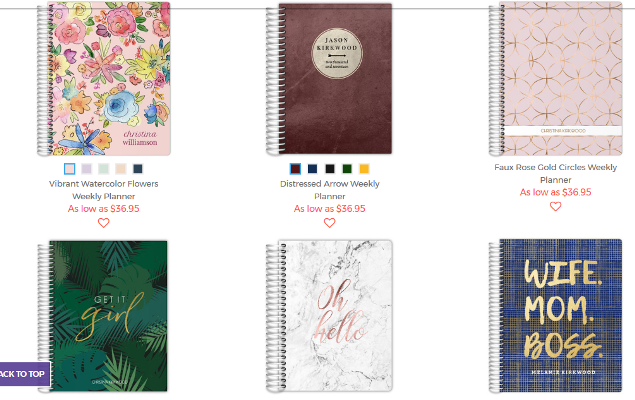 The company is called Purple Trail and they are a stationery website that offers all sorts of customized planner options, from the size, to the start date, to the cover, to the layout, you can create a customized planner in no time at all. Hassle-free. Yes, please! So many possibilities, you just need to click on the options that will work for your life and then sit back and wait for it to arrive in the mail. 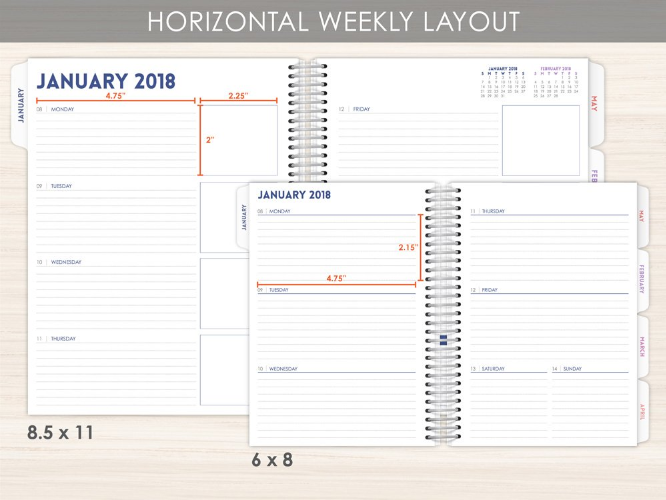 The one I currently have is a Weekly Planner however I am considering doing a Mom Planner for my next one because of the layout option on it which you’ll see below. These are just a few of the covers for the Weekly Planners. I really love the beautiful watercolor design in the top left hand corner. So pretty! Each planner category has their own fun cover designs. 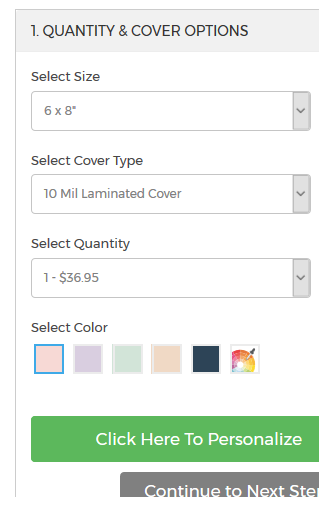 At Purple Trail, they have two planner sizes to choose from: 8.5 x11″ and 6 x 8″ (my favorite) and three cover types to choose from: laminated (my favorite), synthetic cover with frost sheet and hard book cover. I love that you can add your name to the cover. In addition, there are many other options to personalize, with your own colors, text, photos and embellishments, your front and back covers as well as the inside front and back covers. The customization continues with selecting your inside page options. You can also choose between a 12 month or an 18 month planner however the 18 month planner is a $10 add on. 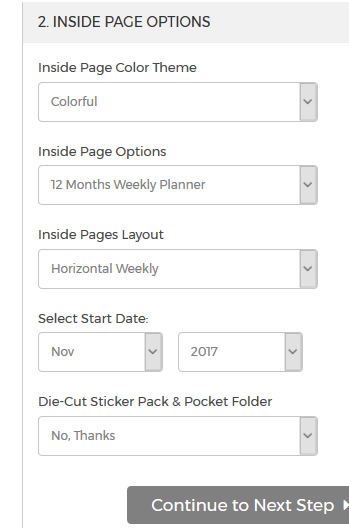 Each planner category comes with it’s own inside page options to choose from. 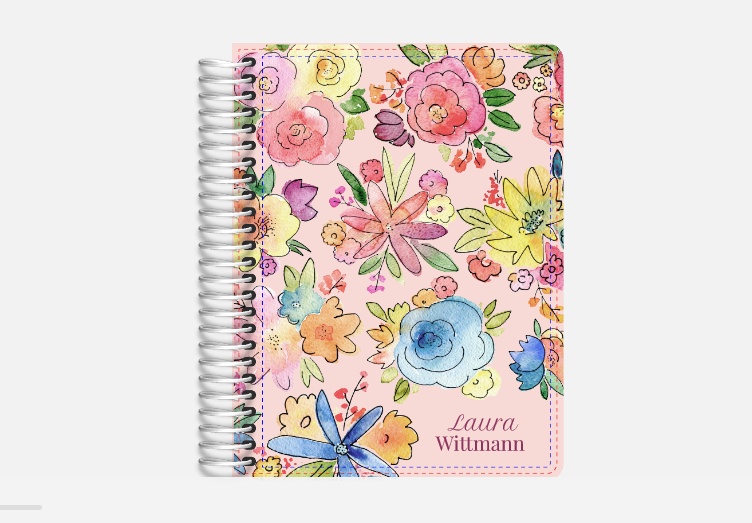 For instance I love how the Mom Planner can be customized. You can add your own label names on the side. I’d love to have the top area for schedule and then a section for my top 3 to-do’s, work, home and a what’s for dinner section. Just awesome. I also love, love, love the fact that you can choose your own start date! It means you can start at any time and you won’t have to wait to use it, yay! You can also choose to add these options to your planner for a small fee if desired. Told you there were a lot options! This system of setting up your perfect customized planner couldn’t be easier. I was very impressed with the quality, especially with the paper as it’s a thicker paper that isn’t flimsy or see-thru at all. Also I haven’t had any problems with the coil ring binding as it is very durable. It hasn’t bent on me and the pages turn nicely on it. I highly recommend you go on over and play around at Purple Trail and see what you think. 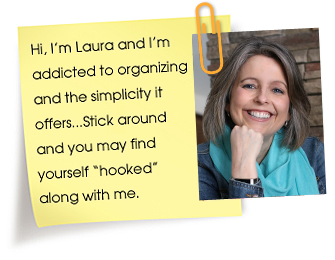 It’s a great way to customize the organization of your life without any of the hassle! My daughter and I have used Purple Trail in the past and love it. The quality I found is excellent and just so many choices to make it your own. Oh yes the paper quality is excellent, I forgot to mention that. I will update the post, thank you! Thanks for sharing. I had heard about other customizable planners, but I don’t think they had this many options. 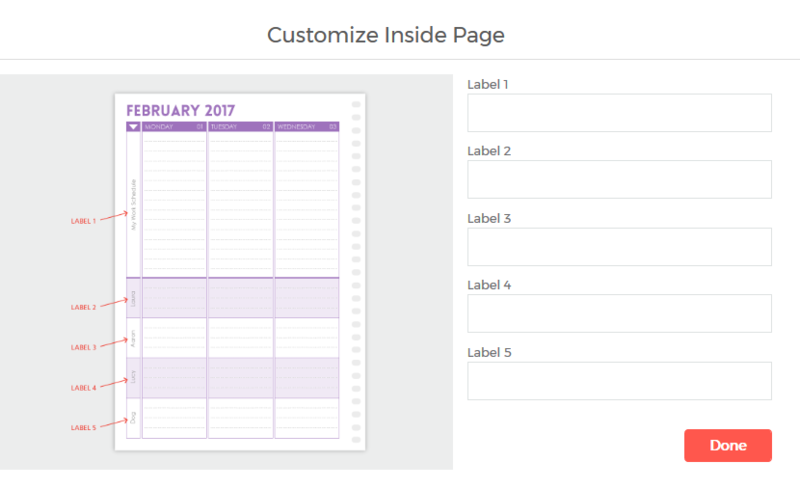 I use Franklin Covey for my personal and life planner, but I would consider customizing the Purple Trail planner for blogging. I jumped on the planner bandwagon early this year. Bought a Mary Engelbreit planner. Not so many pages as this year’s but works for me. Downfall was amount of blank pages for just writing like a journal. But then again I don’t much. I don’t spend a lot on planners. Some years I don’t even buy one! I think I may have spent a few hours drooling over this site at one time, but I didn’t end up ordering anything. Knowing me, it was just too hard to decide!